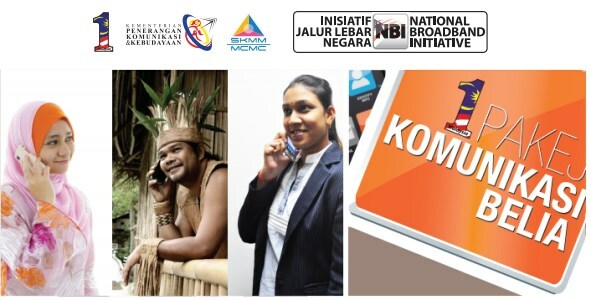 Update 2: A MCMC spokesperson has confirmed to Digital News Asia that “there is no new smartphone rebate programme”. Instead, the program was merely suspended to check on the effectiveness of the scheme. While the quota of 1.5 million registered youths was fulfilled, only 1.2-1.3 million youths have claimed the rebate, with the unclaimed rebates becoming void. As such, the remaining slots will be open for registration from September 3. Update: A news report on Utusan seems to confirm the resumption of the package. The Deputy Minister of Communications and Multimedia, Datuk Jailani Johari, was quoted as saying, “Kita akan agih semula baki pada 3 September ini,” (“We will re-distribute the funds on 3rd September”). A tweet by Dhmil Johan was also in the affirmative, with an announcement heard on RTM radio. There is, however, still no response from MCMC themselves. The Youth Communication Package programme, an initiative to encourage greater smartphone penetration among Malaysians by the Malaysian Communications and Multimedia Commission, may be resumed next month. The programme, known as the Pakej Komunikasi Belia in Malay, offers a RM200 rebate to purchase a new smartphone for registered youths aged 21-30 with a monthly income of RM3000 or less. It proved highly successful, with the programme reaching its quota of 1.5 million youths within months of its inception. A report by Amanz.my stated that the Youth Communication Package may be reintroduced on September 3. However, at the time of writing, there are no available information regarding the new program on the MCMC website, nor on the Youth Communication Package website. We have approached MCMC on the matter, and will update the post when we receive a reply.